After Episode 2, we couldn’t get this image out of our head–so we hired designer and all-around rad dude Dylan Todd to make it a reality, then slapped it on some t-shirts and stickers at our brand new Redbubble shop! The X-Men as they appear in the 90s cartoon opening sequence. 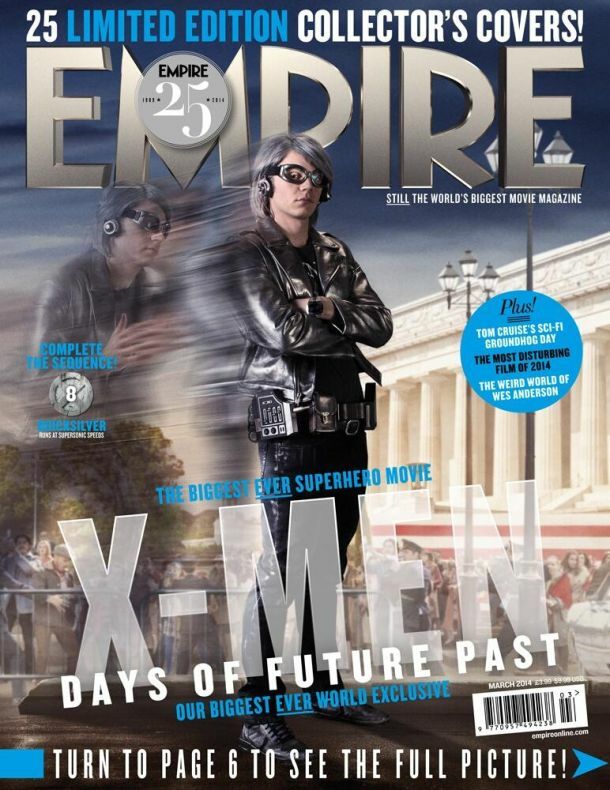 We really just never get tired of Cyclops blowing up robots. Mr. Sinister is here for your logical causality and possibly also your glam rock! Creepy Gambit would like you to buy a comic book in which he is probably even creepier in that than in the cartoon it’s based on. Bruce Timm’s love letter to Broadcast Standards & Practices. The first-season lineup of X-Men: Evolution. X-23 is not pleased with your Harley Quinn comparisons. In 1989, Dwayne McDuffie sent this pitch to Marvel to make a point about some trends pervasive among their black characters. Ten years after McDuffie’s letter, Marvel introduced Spyke in X-Men: Evolution: A black kid on a skateboard, who is related to the only other black character on the show. Nothing you tell us will convince us that Lin-Z from Jem and the Holograms is not secretly Dazzler. Wolverine and the X-Men was a damn fine show, and the fact that it only ran for one season should be a crime with actual, legal repercussions. …but testifies before the Senate in briefs. He’s a complex dude. Jean Grey’s Jim Lee-designed costume is not our favorite. This is Morph as he appears in the 90s X-Men cartoon. Don’t get too attached. In the podcast, Rachel said Morph made his comics debut in Exiles, totally forgetting that he’d previously appeared in Age of Apocalypse. Sorry! 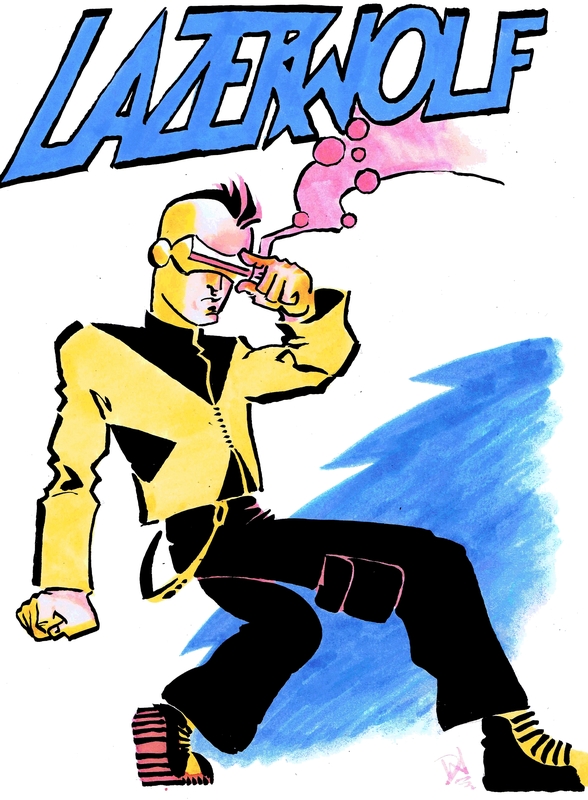 David Wynne also drew the kickass Lazerwolf we posted last week. We’ve already posted Tyler Crook‘s novel(ty) solution to Magneto’s naked upper lip, but we love it enough that we’re posting it again. Deal with it. Ma’at Crook explores two iconic stache styles, complete with a bonus era-appropriate plaid suit! 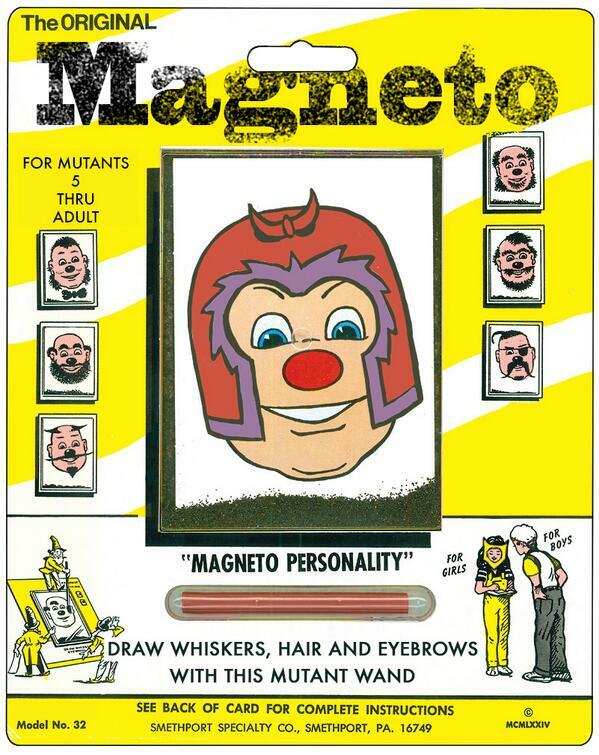 Vid Tuesday complements his Magnetostache with some splendid Silver-Age-style patter. This week, Miles is off at C2E2. He’ll be working at the Dark Horse Comics booth all weekend, so if you’re there, swing by for a high five. Meanwhile, Rachel will be holding down the fort with Emergency Backup Cohost Chris Sims, X-Plaining some of the (numerous and often terrible) X-Men animated series. If you have questions for Rachel and Chris, please stick ’em in the comments here or our tumblr ask box, or tweet ’em to @RaeBeta, with the hashtag #xplainthexmen! The whole thing is pretty splendid, but I think my favorite touch has to be the wee Quicksilver and Scarlet Witch in the corner. Marvel/Disney/Fox/whoever owns the relevant toy licensing rights, you need to make this wonder a reality. Quicksilver is more of a bored mutant, but Magneto got to name the club. Unus the Untouchable is having a bad day in X-Men #8. We salute Marlene Jablon, early pioneer and unsung hero of X-Plaining. This letter appeared in X-Men #12. In which we introduce the villains of the Silver Age: Magneto makes some valid points, Mastermind is a Nice Guy of OkCupid, the Scarlet Witch predicts Cat Breading, the Trasks should really have known better, and the Comics Code Authority is down with pterosaurs. 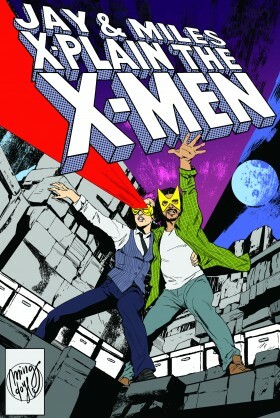 Rachel and Miles X-Plain the X-Men Is Now Available on Stitcher! Yaybo! Click here to listen or subscribe! Meanwhile, we’re gearing up for our second episode. If you’ve got an X-question–especially iconic villains of the Silver Age–drop it in the comments below or our tumblr ask-box, or tweet it to @RaeBeta with the hashtag #xplainthexmen! Meanwhile, we’re busy getting ready for our scintillating second episode! Got a burning question you’d like to hear Rachel and Miles answer on the podcast? Drop it in the comments below or our tumblr ask-box, or tweet it to @RaeBeta with the hashtag #xplainthexmen!